You can trust us with your vehicle, our technicians are trained and certified by the manufacturer to repair your Bentley Vehicle. We also service all other makes and models. A Bernie Moreno Company in North Olmsted, OH, is proud and ready to serve the North Olmsted area. 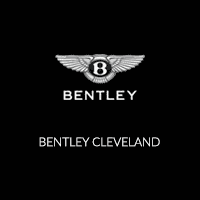 Since opening our doors, we at Bentley Cleveland have promised to serve our clients in the best way possible: by offering honesty through sales, efficiency through service, and knowledge through our certified team members.